The picturesque beach town has become the backdrop for a widening swirl of embezzlement and corruption allegations against the once-popular town manager. Six months after he was charged with theft, Ogunquit Town Manager Tom Fortier spends his days plotting a comeback in his well-appointed Falmouth colonial. At night, he unloads trucks and shovels snow for $10 and $12 an hour. 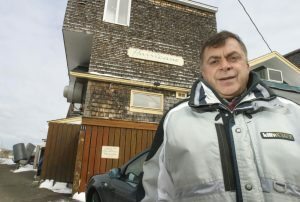 After seven years at the helm of a town known as the “beautiful place by the sea,” Fortier has just days to decide if he will accept the town’s offer to quietly leave his $125,000-a-year job, or fight to restore his position – and his reputation. If he takes the offer, the town will pay him through June, unless he’s found guilty of criminal charges before then. If he refuses, the Select Board has threatened to fire the 52-year-old at its meeting Tuesday. With that decision looming, the town better known for sandy beaches and well-heeled summer visitors has become the backdrop for a widening swirl of allegations of municipal wrongdoing. Nearly three dozen interviews with current and former town officials and residents, and reviews of court documents and town records, reveal how Fortier’s brash style and tendency to push ethical boundaries inflamed long-simmering tensions over the cozy relationships between town officials and prominent citizens. 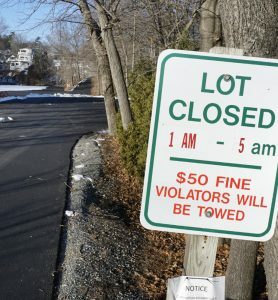 The town’s effort to cut ties with its town manager – he’s been on paid administrative leave since August – stems from misdemeanor theft by unauthorized taking and official oppression charges filed against him over his alleged role in the operation of an after-hours parking lot on town property. Police claim Fortier used teenage town workers who played on his baseball team to collect $400 in parking fees from Fourth of July visitors to Ogunquit, and pocketed the money instead of turning it over to the town. Fortier denies the allegations. He says the charges are the result of years of resentment over his aggressive management style and much-needed staff reductions. He claims the police investigation, which was handled by the neighboring town of Wells, was tainted by bias because the police chiefs of both departments once lived together. And while Fortier and town officials circled each other, town residents have fumed. 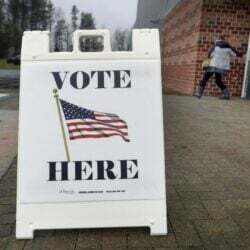 In recent weeks, citizens have mobilized, tired of official silence and a lack of transparency that leaves even basic town documents, like the town’s line-item budget, out of the public’s reach. 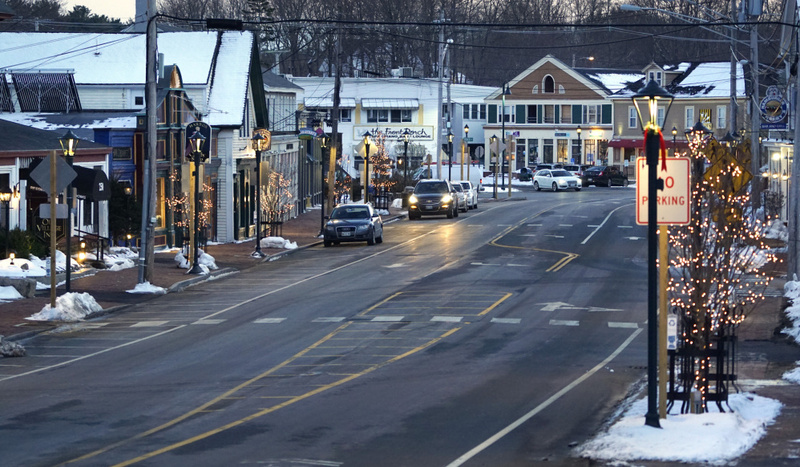 Ogunquit’s downtown remains charming even in February. Fortier’s critics have delivered petitions, held no-confidence votes and made a series of public records requests in search of the truth. Supporters have held invite-only rallies and openly questioned the objectivity of the local police. Those accusing, defending and investigating Fortier have found their own private lives aired in public. The controversy around the Fortier case, which has cost the town about $26,000 in legal fees this fiscal year, has unearthed other accusations against him, ranging from misuse of a town credit card to using his friendships with town officials and others to get cash loans and a second mortgage. Fortier said the myriad allegations have even attracted the attention of the FBI, although Mark O’Brien, the acting town manager, said only that a “government agency” had requested town records. At the heart of the controversy is Fortier, a Saco native whose 2009 hiring was billed as transformational. He proudly recalls how he kept the tax rate low, improved roads and infrastructure, and planted flowers downtown, by hand. Town records show that during his tenure, the town’s savings account more than doubled and parking fees jumped from $1.3 million in 2008 shortly before Fortier arrived to nearly $2 million in the last fiscal year. From the day he started, he took charge and started downsizing town staff, cutting a police lieutenant, assessor and landfill workers. He used skills he learned as a Portland planning official to land large grants and beautify Main Street. 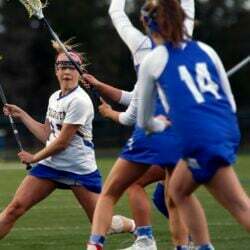 Fortier’s performance evaluations were full of high praise. 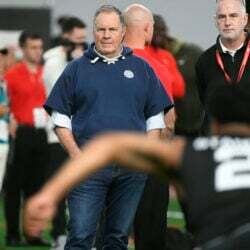 The town renewed his contract three times, most recently in July, with higher pay, better health insurance, and better perks, such as a $940 monthly car allowance. Fortier might have had a lot of energy, but he didn’t have a lot of money. Joshua Saucier, assistant district attorney for York County, is exploring whether Fortier’s financial troubles might have given him motive to organize the after-hours parking lot, and has asked the court for permission to run a credit check on him. In a three-hour interview at his Falmouth home with the Maine Sunday Telegram – and against the advice of his attorney – Fortier admitted that his financial woes, including hundreds of thousands of dollars of mortgage, credit card and student loan debts, played a role in some decisions he now regrets. 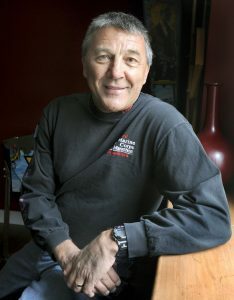 Within three months of his arrival in Ogunquit, Fortier started using his town-issued credit card for personal expenses. His credit card statements show that over five years, he charged expenses ranging from a $49 medical co-pay to $239 in home heating oil and $100-plus hotel stays in Wells, York and Kennebunk. He charged a $175 youth soccer league fee in Falmouth, and $75 tickets to the Ogunquit Playhouse, along with dozens of meals, some of which the treasurer determined were not related to town business. Though Fortier insisted he reimbursed the town for all his personal expenses, the practice is forbidden by town policy. On multiple occasions, when he did repay the charges, he racked up new bounced check and late fees, according to town credit card bills and accounting records. In July 2009, Fortier wrote a personal check to cover what records show was his first personal expense on the town card: a $126 purchase at a sporting goods store in Portland from May that year. But the check bounced, credit card bills show. He wrote another check in August to cover the first purchase and the returned fee, but that check not only bounced, it was late. The town doesn’t have the September and October credit card bills from that year, so there is no way to tell whether Fortier ever paid for the original $126 purchase or the additional $112 in returned check, late payment and finance fees. By November, the next bill available, Fortier’s credit card balance was back down to zero. Fortier said he paid back every dime he ever spent on personal purchases. He admitted that using the card to fund his private life wasn’t smart and was probably wrong, but became angry when asked to explain a specific personal expense. The town treasurer at that time, Judy Yates, said she is confident Fortier “made the town whole” for all his personal expenditures. She apparently had to work for it, though – she told a local television station she had to chase Fortier down to get him to pay up. The town still doesn’t know whether it’s whole or not. The current treasurer, John Quartararo, said he can’t tell whether Fortier reimbursed them for all the personal charges he put on the town card because the audit trail is incomplete, and that he and Yates used different accounting methods. Fortier also borrowed money from town residents and officials within months of being hired, borrowing $5,000 apiece from Bevins and another board member, Phil Cavaretta, and accepting a $114,000 second mortgage from John Mixon, a local developer. 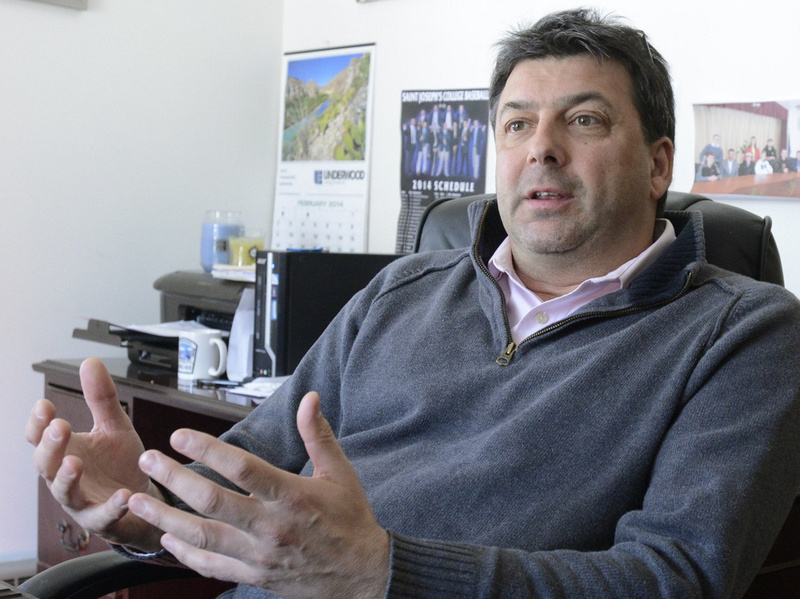 The Maine Municipal Association takes no position on private loans to or from municipal officials or employees, saying it can be difficult to access bank credit in some parts of Maine. Fortier insisted the loans didn’t give the Select Board members any extra power over him and said they respected him because he never “kowtowed” to them. In fact, he insisted that Bevins and Cavaretta lost power when they hired him because he was an assertive administrator. But their friendships were obvious. Fortier lunched at Bevins’ Perkins Cove restaurant, sent her flowers when she was ill and taped a photo of Bevins and Cavaretta inside a hidden shelf in his office desk that remains there to this day. Their close friendship fueled rumors she had undue influence over him and emerged as a central issue in a wrongful termination lawsuit brought by Jonathan Webber, Ogunquit’s longtime public works director. Fortier fired Webber after he was charged with drunken driving in 2010. Webber accused Bevins of bias in his termination proceedings. The town admitted in court documents that Bevins first told Fortier about Webber’s OUI and “demanded to know what Fortier would do about it.” The town also conceded Bevins repeatedly called Webber a “crook” in Fortier’s presence and told Fortier to fire him. When Webber appealed his firing to the Select Board, the records show Bevins, Cavaretta and their fellow selectmen backed Fortier. It was “Jonny’s (Webber’s) word against Tom’s (Fortier’s),” Bevins told her colleagues. Cavaretta told the group he had “a real problem not standing behind” the town manager. Selectman Graham Simonds also sided with Fortier. “I don’t know why Tom would initiate a letter like this unless there was – unless there was some meat there,” he said. The judge, however, sided with Webber, awarding him $775,000, several years’ worth of back pay. The town’s insurance policy paid for $575,000. Town taxpayers footed the other $200,000. Fortier admitted Bevins told him she wanted Webber gone, but insisted that didn’t influence him. Bevins says she was surprised when she learned Fortier had fired him and said her role in the case was wildly exaggerated. But David Barton, a former insurance agency owner who served on the board during the multiyear lawsuit, said he isn’t so sure. Barton said Bevins raised the issue of Fortier’s debt to him when he asked her why Fortier might have fired Webber the way he did. ” ‘Well, he might have thought he owed me a favor,’ ” Barton recalled Bevins saying. Bevins denied the conversation ever happened. Bevins and Cavaretta are still Fortier’s supporters, helping him find a prominent criminal lawyer to represent him, and inviting sympathetic townspeople to a not-so-secret meeting where he could tell his side of the story to locals. Fortier’s lawyer, however, scuttled the gathering, saying it could harm his legal case. When she announced the change, board Chairwoman Barbara Dailey said the exchange of money between town employees could gravely damage the town’s credibility. Some board members took steps to protect Fortier even when there were no loans in question. In 2012, Fortier was identified as the prime suspect in the theft of $10,200 in Memorial Day weekend parking fees from a town hall safe. While the state Attorney General’s Office investigated the crime, the board launched a parallel probe into the possibility that a town employee was responsible. They hired Jonathan Goodman, a Portland-based attorney, who reported his findings to the board in a closed-door executive session. Shortly before that meeting, Barton said he was approached by Dailey, who already had a copy of Goodman’s findings in her possession. Barton said she read him excerpts from the document that identified Fortier as the prime suspect in the theft. When she was done, Barton said she asked him what he thought they should do. It’s not clear what became of Barton’s suggestion, but no police charges were filed in the case. The town said it has been unable to find any written documentation of Goodman’s investigation. Billing records show the probe cost Ogunquit $5,200. Fortier said he continued to work as town manager throughout Goodman’s investigation and was aware that he was named as the prime suspect. 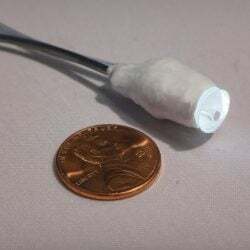 He said he gave a DNA sample to the Portland Police Department and the case was later dropped for lack of evidence. After the theft, he said, he purchased security cameras to place throughout the building. Mixon, another Fortier supporter, said he didn’t know the new town manager well in June 2009 when he loaned him $114,000. He knew Fortier had bad credit and sizable debts, but thought a mortgage was a safe investment. Despite long-standing criticism, Mixon maintained he had no ulterior motives when he extended Fortier the loan, which he said went toward granite countertops that he installed in Fortier’s kitchen and toward consolidating Fortier’s existing debts. He said Fortier has repaid the loan faithfully at 6 percent annual interest and provided a printout of a payment schedule from a loan-calculating website with handwritten notes marking each of Fortier’s $700 payments dating to July 2009. In 2011, when he ran for a seat on the Select Board, Mixon transferred Fortier’s loan to his in-laws, saying he wanted to prevent any perception of conflict. He had the loan transferred back to him after he lost the election. But most of the criticism around Mixon’s loan centers on his role as a developer in town. Mixon and Fortier say the town manager has little say in Planning Board deliberations, but critics say Fortier was beholden to Mixon and the loan left town employees in a position where they might be asked to assess a project for a developer to whom their boss owed money. Mixon did not have projects pending before the town in 2009, but the loan was still outstanding when he came to the Planning Board four years later with plans for a seven-unit subdivision. In contentious hearings spanning more than three years, neighbors voiced concerns about the project’s impact on local traffic and density. Mixon, his designer and attorney battled the Planning Board over his desire to build one driveway to serve the entire subdivision. Scott Heyland, the town’s code enforcement officer and Fortier’s subordinate, denied Mixon’s initial application. Mixon returned to the board after he lost his appeal with a plan that met requirements. Mixon pointed to that loss as evidence that the loan did not grant him special treatment. Even in instances when he dealt with Fortier, he said Fortier was particularly hard on him. Shortly after he was put on leave, Fortier borrowed another $5,000 from Mixon. In his interview with the Telegram, Fortier initially denied accepting the loan, but when pushed, acknowledged he’d needed the money to hold him over until he could withdraw $42,000 from his retirement account to fund his legal fight. 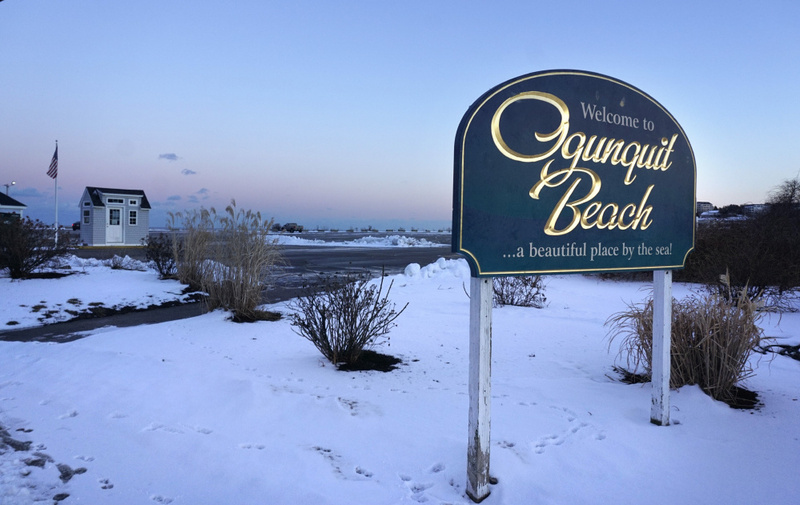 The Select Board’s new personnel rules also prohibited loans from someone “who has or is seeking to obtain business with the town.” Mixon said the rule would not apply because he has never done business with Ogunquit. During his interview with the Telegram, Fortier remained adamant that he was falsely indicted by small-town gossip and says those who have accused him are liars. He recounted the list of various “crimes” that have been blamed on him, before denying them categorically. No, he didn’t steal money from the group that maintains the town’s beachside walk, as claimed in a widely circulated anonymous letter. No, he didn’t sell paintings donated to the town by local artists on eBay, as the letter also alleged. According to the town, all but a handful of the paintings were eventually found in various town buildings and the rest were likely thrown away. No, he didn’t break into a local inn and steal antique silver coins to pay Mixon, as Fortier said one resident has argued. There is disagreement about even some of these lesser accusations. For example, the same anonymous letter claimed he stole money from a soda machine in one of the town beach parking lots. The town’s old accounting system makes it difficult to track profits. This town parking lot was opened after hours last Fourth of July and $400 was collected from visitors. Some residents say the town manager orchestrated the lot’s use and pocketed the money. Police have charged him in the incident. Fortier said he stocked the machine with town-purchased products, collected the little money it made and turned the revenue over to the town. Fortier said the pending criminal case against him is fraught with bias, too, and Ogunquit Police Chief Patricia Arnaudin never should have referred the case to the Wells Police Department for investigation, alleging a romantic history between the Ogunquit and Wells police chiefs. Arnaudin said she did refer the case to the Attorney General’s Office and officials there declined it. She asked Wells police to take over the case to avoid a potential conflict of interest in investigating a town employee. She noted that Wells police had investigated a prior accusation that Fortier aggressively handled a street performer, and he had not complained about bias then. She denied influencing the Wells police investigation, as well as Fortier’s claims about her personal life, calling him a liar and criminal. Arnaudin said she and Wells Chief Jo-Ann Putnam were only friends. “I know every – probably just about 90 percent of the police chiefs in the state of Maine – so I am friends with many of them,” she said. It was only after repeated questions over three interviews that Arnaudin admitted Putnam had rented a room in Arnaudin’s house nearly 30 years ago. Fortier says Arnaudin was biased against him because two weeks before he was charged, he had asked if she was interested in early retirement. Arnaudin confirms they talked about her retiring, but said she wasn’t bothered by the discussion and actually welcomed the idea. Since Fortier was placed on leave, Arnaudin said no one in town has followed up with her and she has not submitted a retirement proposal to the Select Board. During the Telegram interview, Fortier sat at his kitchen table and rifled through files he hoped will help his case. Sometimes he thinks about rejecting the town’s deal. “Just try to fire me,” he said. But he grew despondent when talking about money and what he might stand to lose, including his house and his marriage. He’s been turned down for all but the lowest-paying jobs and doesn’t know if he can afford to keep fighting. In recent weeks, he has fired off cryptic emails in his own defense to reporters, using anonymous accounts named after Tom Petty, one of his favorite musicians, and even quoting lyrics from Petty’s songs to talk about his situation. He wondered aloud whether he might have developed post-traumatic stress disorder from the whole ordeal.